Mr Hoban and I have had several conversations over the past couple of years about what we would stock if we owned a whisky bar. You know, those kinds of conversations which take place after a few (too many) pints, after you’ve put the world to rights and tried (and usually failed) to chat up all the pretty girls in the bar. Or at least that’s when we usually chat about this sort of stuff. Anyway, Hoban and I both agree that in our bar we’d have a plethora of weird and wonderful bottlings; stuff from independent bottlers, rare stuff, stuff from closed distilleries, really old stuff, very interesting stuff and the like… you probably get the picture. 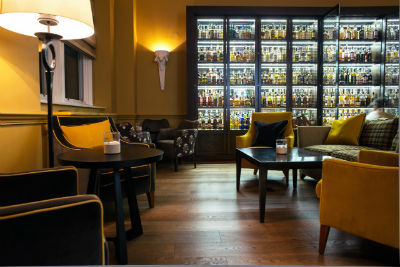 Bearing this in mind, imagine my delight when I walked into ‘SCOTCH’ the other night, the new whisky bar at Edinburgh’s most iconic hotel; The Balmoral. SCOTCH was conceived after a brief conversation between a member of staff at The Balmoral and one of its guests. The guest enquired about good whisky bars in Edinburgh and was given a few recommendations, however all these bars were out with the hotel. Cue a conversation between The Balmoral and Charlie McLean, the creation of a dedicated whisky bar within the hotel and the acquisition of 400 bottles of delectable whisky. SCOTCH’s whisky menu is filled with old whisky, rare whisky, independently bottled whisky etc, and all at a reasonable price. Drams start at £4 and the most expensive is a 1940 Macallan for £85. Now I know that’s hardly cheap for a dram but considering it’s a 1940 Macallan and you’re drinking it in arguably Edinburgh’s finest five star hotel, it’s not too bad. 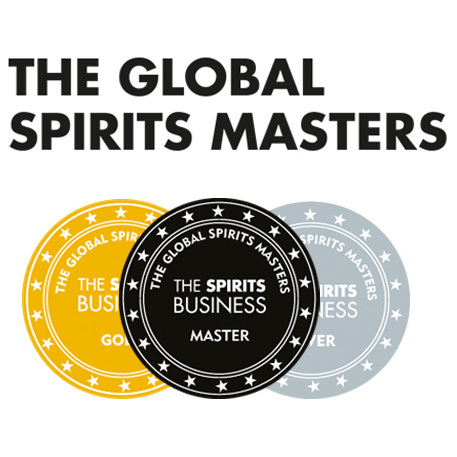 The bar itself is manned by three very knowledgeable whisky ambassadors, who will advise and recommend whiskies depending on your mood and palate. 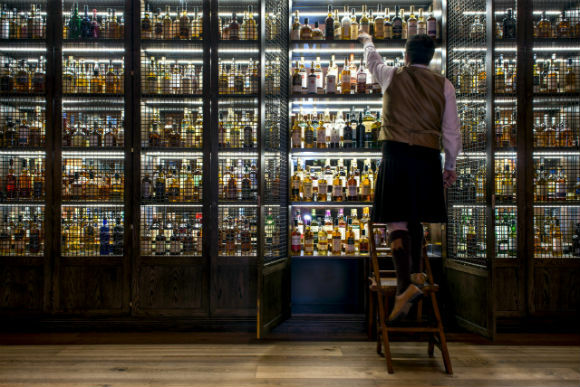 The whiskies are kept caged in a huge hand crafted oak cabinet opposite the brass and black granite bar. Once you’ve selected your dram, you can recline on one of the chocolate velvet armchairs or neutral tweed sofas. Don’t been fooled into thinking this is a ‘whisky drinkers’ bar. Far from it. Although the selection boasts a 1965 Highland Park, several Glenfarclas family casks, a great range of 1970s Mortlachs and Longmorns, a ridiculous line up of Macallans and many more gems, this is very much a modern bar with a modern way of thinking. Whisky cocktails, other spirits and wines are also available, so whether you settle in for the night, stop here for an aperitif before heading elsewhere or drop in for a night cap, be sure to visit SCOTCH. And imagine Hoban and I sitting in the corner like two old men still trying to put the world to rights. 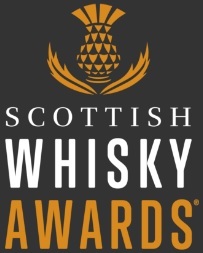 This entry was posted	on Friday, September 13th, 2013 at 12:55 pm	and is filed under Whisky Bars. You can follow any responses to this entry through the RSS 2.0 feed. Responses are currently closed, but you can trackback from your own site.